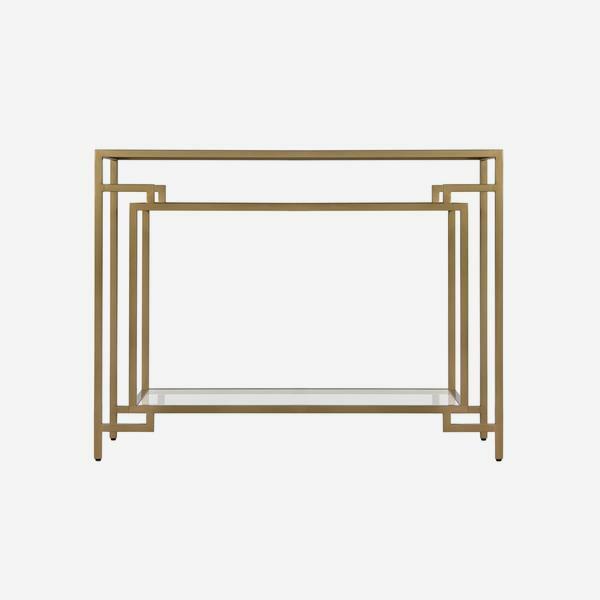 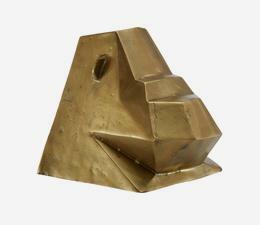 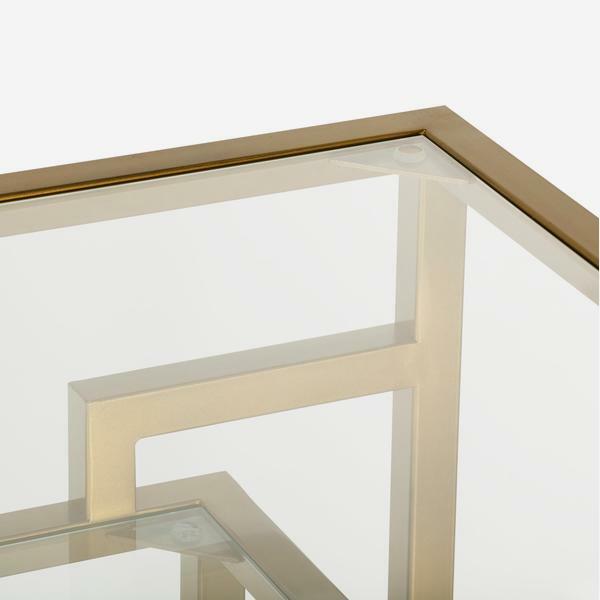 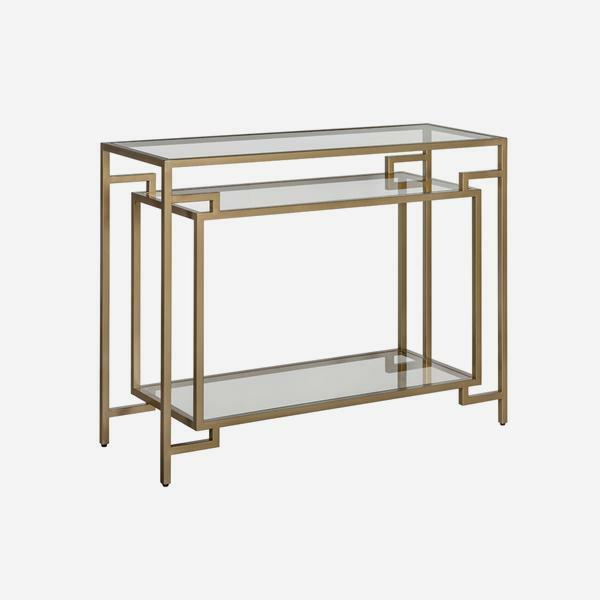 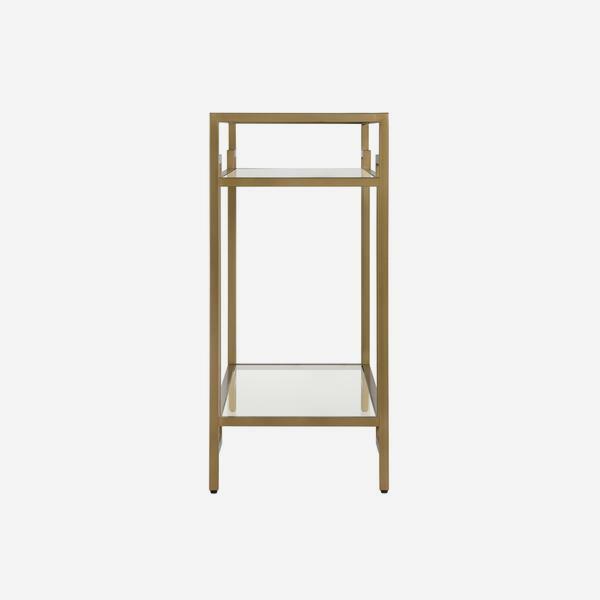 A sculptural, Art Deco style console with a burnished gold frame and tempered glass shelves. 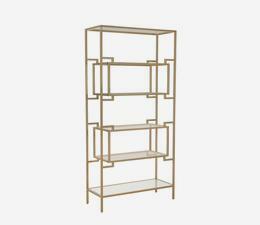 Architect radiates the decorative style of the 1920s movement, casting geometric pattern in a room with its silhouette. 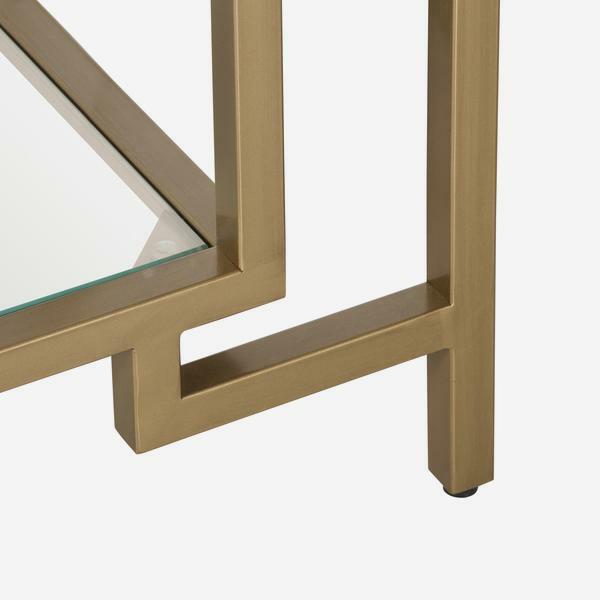 With three glass levels, this console can act as the perfect open drinks cabinet, house your daily newspapers and magazines or make it a stand for an artistic vase or lamp.